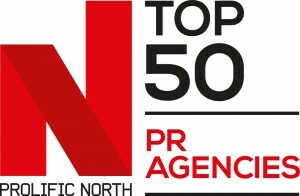 Welcome to the 2016 edition of the Prolific North Top 50 PR Agencies, the definitive list of the North’s leading PR agencies. This initiative is published in association with our partners, Pitch Consultants, and follows our other ground-breaking research features, which include the Top 50 Digital Agencies, the Top 50 Integrated Agencies and the Top 100 Brands. Mustard Research, one of the UK’s leading independent research companies, has rigorously managed the data-gathering process throughout. The ranking is anchored on financial information taken from Companies House, as well as financial reporting company fame BVD, and also draws upon data submitted and verified by the agencies themselves including additional financials, headcount, client information and – where appropriate - confidential private background information. We started with an initial longlist of over 200 PR agencies to be based in or have offices in the North, and we then drilled down in more depth on the accounts of around 120 agencies. These were ultimately whittled down to the 50 in the ranking below. For the second successive year, Manchester agency Citypress takes the number one spot, pipping Tangerine once again. Mancunian agencies do in fact fill the top four spots, with Havas PR UK a significant riser at number three with Weber Shandwick in at four. For the first time since we started compiling this annual ranking in 2013, Finn takes the honours on the other side of the Pennines, coming in at number five but the first Yorkshire agency on the list. 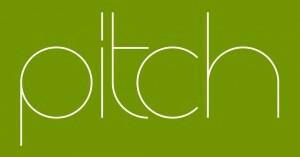 Other Leeds-based agencies Beattie and Lucre have also found spots in the top 10. Overall, there were almost twice as many agencies on the list with a Manchester base than a Leeds base, 20 against 9, although 16 agencies do have a base somewhere in Yorkshire. Liverpool was represented by four agencies, three of whom were listed in the top 15. We did not give agencies the option of being included or not. This does mean however that sometimes larger, or indeed, smaller agencies, can have unusual years which can inflate or hurt their performance in a given year. And once again, integrated or digital agencies with significant PR operations such as Amaze and McCann’s have not been included because this ranking is dictated by the agencies’ prime offering: PR and comms. Finally, many thanks to all the agencies who have so helpfully supplied us with information and data, as well as responding to our questions where required.